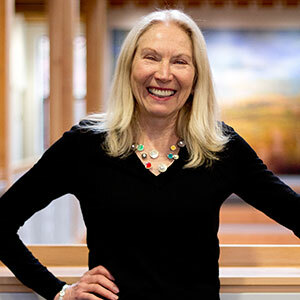 Gloria Krahn, the Barbara Emily Knudson Chair in Family Policy, joins OSU’s College of Public Health and Human Sciences after spending five years with the Centers for Disease Control and Prevention and before that 25 years at Oregon Health & Science University. Geography, however, is only part of this world-class researcher’s story, which spans psychology, human development, policy and disability. At the CPHHS, she’ll bring her many rich experiences to bear through leadership, natural curiosity and a lifelong commitment to health. “I’ve always been curious about people — their behaviors, motivations and capacity for change — and have seen scientific research as a method for asking and answering questions that expand our knowledge. Psychology was an obvious choice for my initial career education, and I focused on developmental psychology for my bachelors training (University of Winnipeg, Manitoba Canada) and clinical psychology for my doctorate (University of Manitoba), and then came to Oregon for a two-year postdoctorate at Oregon Health & Science University (OHSU). I took a brief sojourn to work onsite with a family interaction studies team at the University of Pittsburgh and subsequently collaborated with them for many years. Returning to Oregon, I joined the faculty of OHSU in the Child Development and Rehabilitation Center where I learned a great deal about interprofessional teaming from my colleagues. “Oregon State University is very appealing to me. Born and raised in a small farming town in central Canada and then living in culturally diverse parts of the USA, I feel most rooted in the values of community and respect for the diversity of people. OSU’s status as a land/sea/air/space grant university provides the opportunity and responsibility for working on local and state issues from a national and global perspective. Gloria Krahn is new CPHHS endowed chair in family policy. “As my work developed, my interests shifted from working with individuals to a focus on populations and determining how social policy influences people’s behavior and health. Public Health was a natural next step for me and was like ‘coming home.’ With no school of public health in Oregon at the time, I took a sabbatical leave to study at the University of California — Berkeley for my MPH. I assumed administrative leadership of the Oregon Institute on Disability & Development at OHSU and subsequently developed a research portfolio on health promotion and disability. Through that time, I developed both leadership and grant-writing skills. Together with other national and international colleagues, we helped develop direction for the emerging field of Disability and Health. What is your new role and goals within the CPHHS? “I’ll be the first Barbara E. Knudson endowed chair in family policy, a position I’m excited to help define to promote the new college of public health from the role of family policy. The opportunity to support Dean Bray and the excellent faculty and staff in building the college attracted me to join OSU. My intent is to support the college’s education and research programs to serve Oregon’s public health policy and programs. My goals are to ensure that our workforce development and policy research are of vital relevance to local communities and the state, and our model programs are of value nationally and globally. I look forward to strengthening collaborations with policy-makers, the business community and public programs throughout the state. What’s the best advice you’ve received, and what advice would you give to students?